It seems like there is never a dull season for the Petersens. The band could not be more excited for 2018 with its brand new Branson show schedule, Ellen free from graduate school, and another Canadian tour in the works. Julianne is currently a sophomore at Gloria Deo Academy and is enjoying taking some dual-enrollment college classes through Drury in Springfield. Matt has taken over many of the band responsibilities and has become quite the businessman. 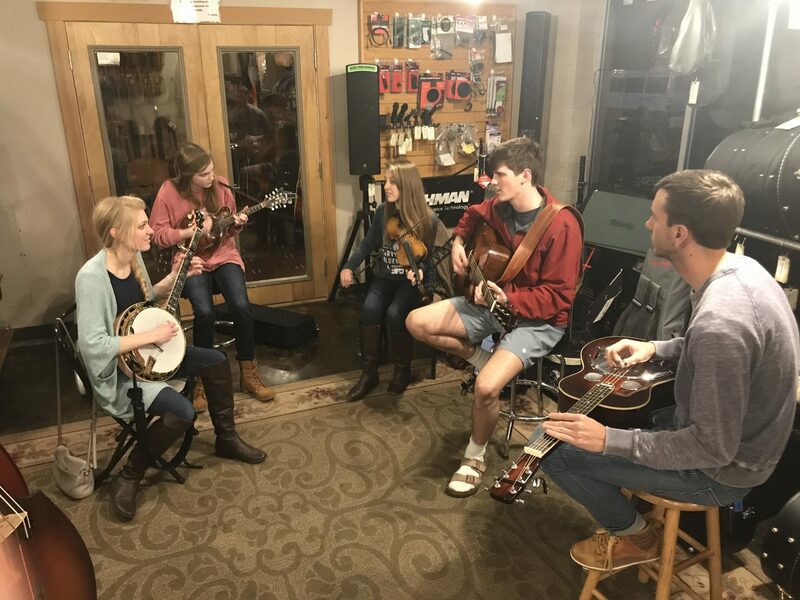 The Branson bluegrass show will kick back off January 20th at 7:30 PM at The Little Opry and continue on Saturdays through the end of February when the new schedule begins. The band will miss the first Saturday in February as they head to Nashville to compete! Keep reading for more news and updates on the Petersens. 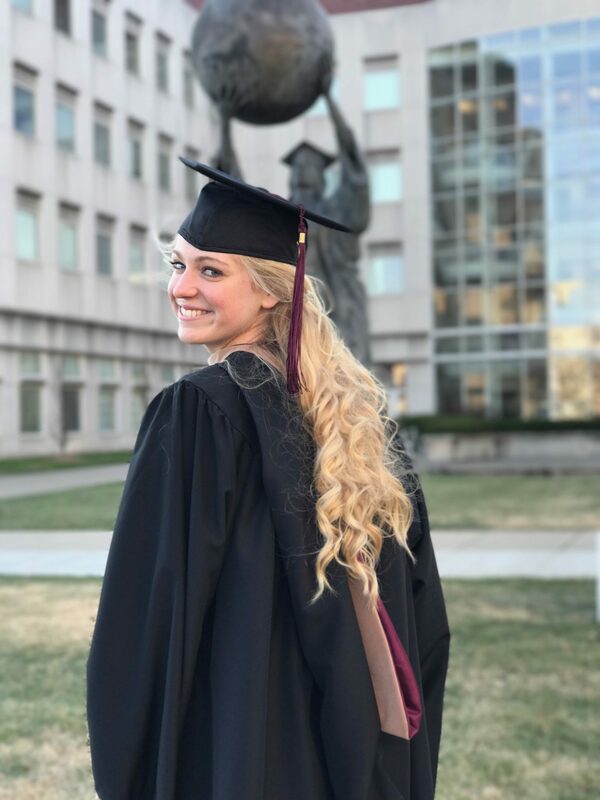 In the fall, Ellen graduated with her Master of Business Administration (MBA) with a graduate certificate in Marketing from Missouri State University. Ellen worked as a graduate assistant in the College of Business Graduate Programs Office throughout her time as a student in order to graduate debt-free. Working to pay for her education was not a foreign concept to Ellen as Kaite, Matt, and Ellen all worked their way through College of the Ozarks to earn their bachelor degrees. Ellen received attention from the Springfield News-Leader for her unique path through business school and music and the article can be found here. Ellen will use her MBA to help run the bluegrass band and teach part-time business classes to undergraduate students at Missouri State. Katie has loved teaching fiddle and piano to students in the Branson and Springfield area the past couple of years. She teaches all ages and skill levels and enjoys passing her love of music on to others. 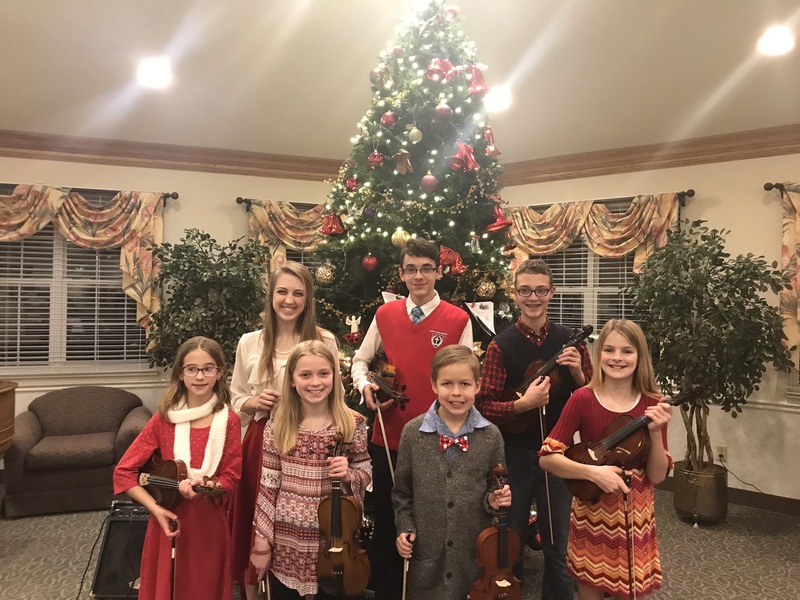 Pictured here are some of her fiddle students at their 2017 Christmas recital. If you or someone you know is interested in fiddle lessons, Katie can be reached by email at kathrynlpetersen@gmail.com. 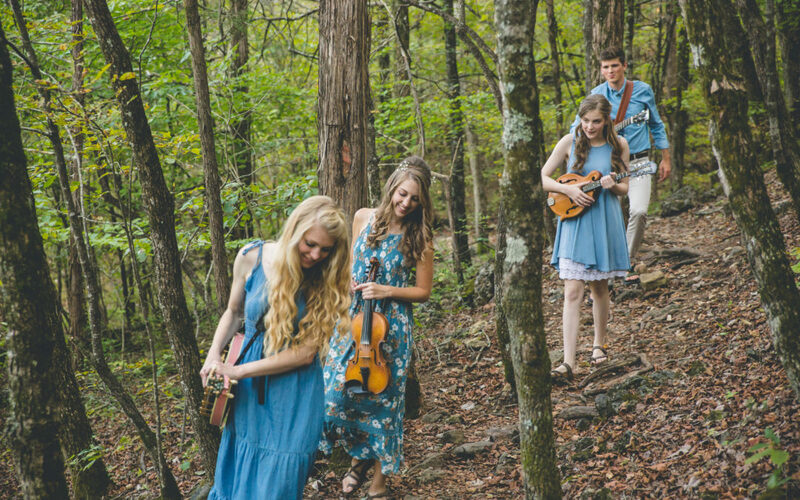 The Petersens enjoy visiting Nashville every now and then for the country music scene and to see several friends who have moved there over the years. 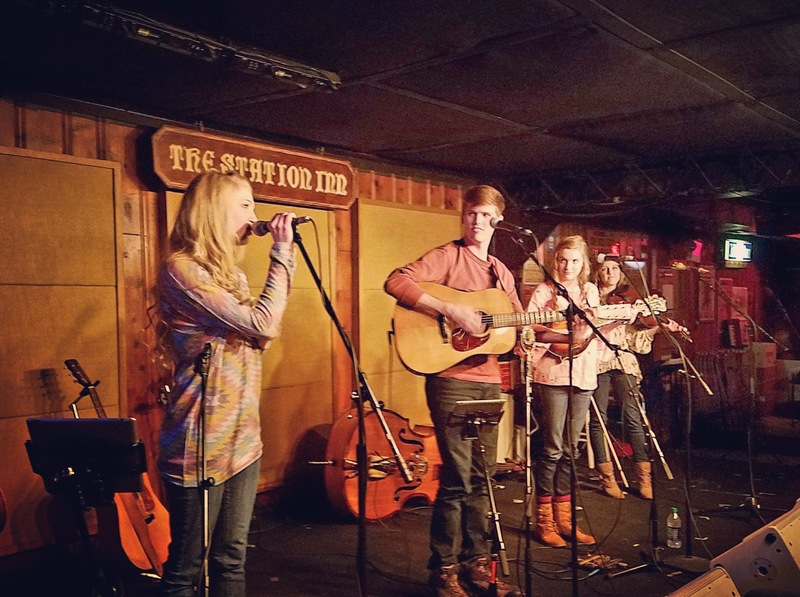 We always make it a point to see a show at the Station Inn when in town and while seeing Fireball Mail perform there in January, the band was called on stage for an impromptu performance! The bluegrass community is always so encouraging and supportive and instances like that are always a wonderful reminder of how great this culture of bluegrass truly is. 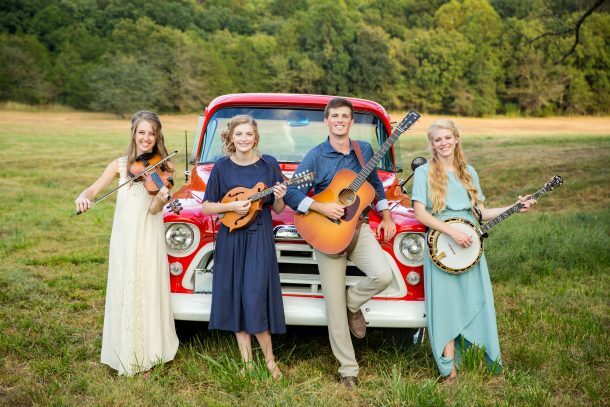 The Petersens are heading back to Nashville the first weekend in February to compete in the SPBGMA International Band Championship. A schedule for events for the convention can be found here. We would love to have you join us and cheer us on!